Enjoy your St. Patrick’s Day weekend! 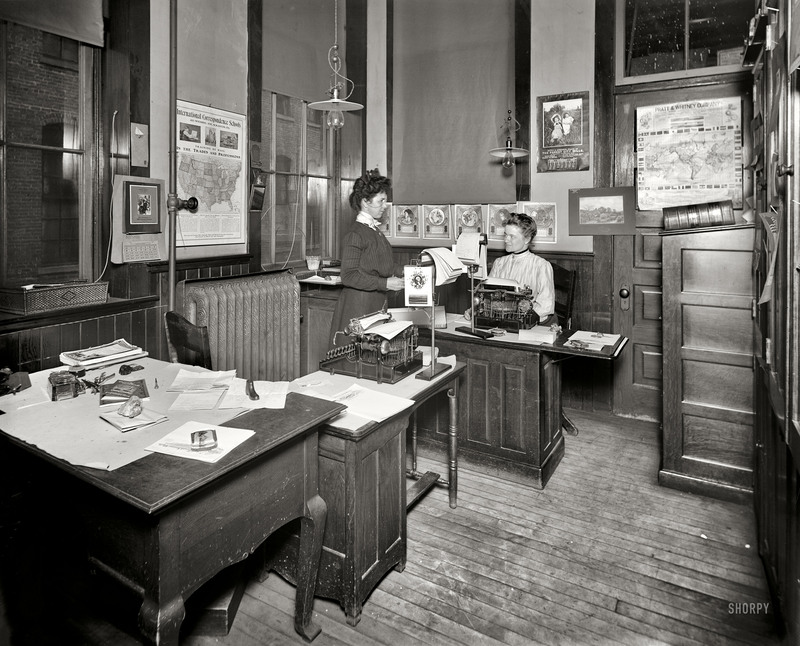 “Stenographers’ room, Leland & Faulconer Manufacturing Co., Detroit.” It’s always helpful to have a calendar in the room when dating a photo, and here we’ve hit the jackpot. In fact the main focus of this room seems to be calendars, with paperweights a strong second. These ladies ran a tight ship, with little doubt as to what year it was or whether that crucial report might go sailing out the window. 8×10 inch dry plate glass negative, Detroit Publishing Company. This entry was posted in Detroit, Shorpy Saturday and tagged detroit, detroit publishing company, leland, office, shorpy, stenographers, woodward. Bookmark the permalink.